Then add your fragrance and coconut oil. Stir for two minutes so that it is all combined. Once combined, let your mixture sit until it becomes opaque and firm around the outside, then stir to make the mix a creamy, opaque consistency and to remove any lumps. Pour into your container, add any glitters, sprinkles, flowers etc. that you would prefer to the top - you can also pipe on some extra wax to make a cupcake effect like in our photo. Let sit for two hours, then to use scoop wax out to place in your wax melter. Blend ingredients together and spoon into a sealed container. 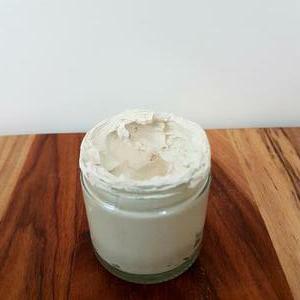 Melt shea butter in microwave until fluid. Mix ingredients together. Spoon into an air-tight container. 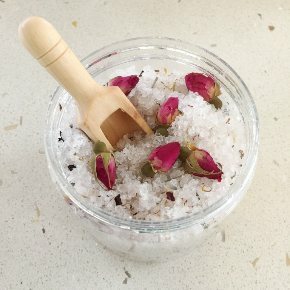 Blend salts and fragrance together and then pour into your air-tight container. 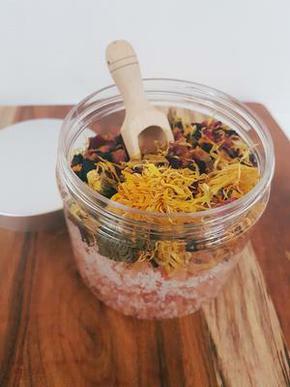 Decorate the top placing the red rose petals on one half and the calendula flowers on the other half of the salts. To use, add two-three spoonfuls into your bath. Melt beeswax, coconut oil and shea butter either in the microwave or on a stovetop. Add essential oil or lip balm flavouring. You will have a little bit of the mixture left over, keep it for later. Once lip balm has set, remelt the remainder mixture and top up the tubes as the balm does sink a little as they set. 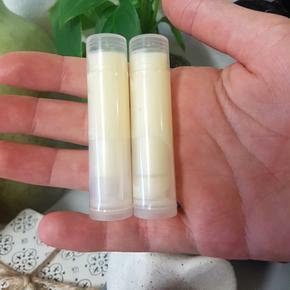 Note: If you find your lip balms have a grainy texture over time, try melting down the shea butter before blending it, putting it into the freezer and then remelting it with your beeswax and coconut oil. Fill Pefume bottle with 7mls of Hazelnut oil. Top up with your fragrance OR essential oils. Place lid on bottle and shake gently to combine ingredients! 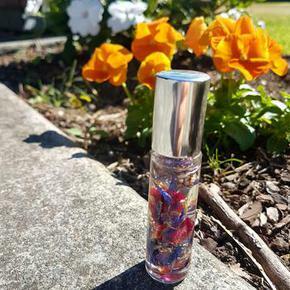 Try adding flower petals in your roll on perfume bottle to add some colour! You can use any perfume bottle just keep the ratio of almond oil to scent at 70:30! Combine all wet ingredients together in a jar and stir to combine. Combine all dry ingredients together in a bowl, using a sift to make sure there are no lumps, then whisk all dry ingredients together. You also add the Mica powder into the dry ingredients. Slowly add the liquid mixture into the dry ingredients (about a teaspoon at a time), crumbling with your fingers after each add, making sure that it is properly combined before you add anymore to stop the chemical reaction from happening. When it is all combined, start packing the mixture into a bath bomb mould and pack tightly in each side. Put both sides together and make sure they are overfilled so that they latch onto the other side. 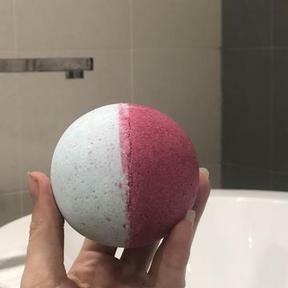 Let the mould dry then slowly pull the mould off of the bath bomb. Work quickly to ensure your mixture doesn't become dry. Add a drop of your liquid dye into your Almond Oil. Stir to blend the dye until you have the desired colour shade. Blend bath butter, sugar and coloured oil. Whip with electric beaters for approximately 2 minutes until the mixture has doubled in size. Add fragrance and whip for another minute. 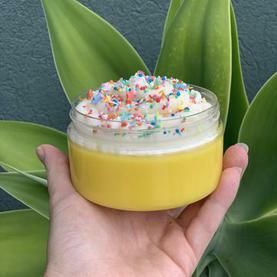 Add to your container and gently sprinkle small amounts of glitter through your bath butter until the container is full. To use, scrub the bath butter onto skin and rinse off in shower. 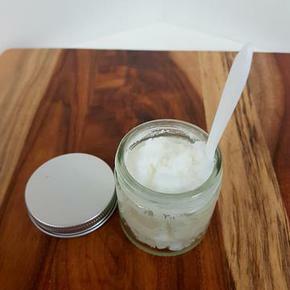 Combine coconut wax and fragrance oil into mixing bowl. Whip with fork until fluffy. Rub into skin and use when desired. Take 500g of chopped melt and pour soap and microwave for 2 minutes and then in 10 second bursts until melted. Add 2 drops of dye to give it a sponge cake colour. Spray the moulds with the isopropyl alcohol and then pour in the melted soap. Spray the tops with alcohol to disperse and bubbles. Allow soaps to set. Whip the foaming body whip with fragrance oil for 15minutes, until it is fluffy and looks like meringue. 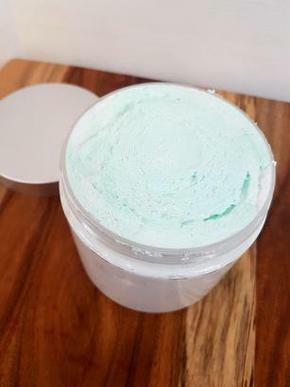 Add 175g of melted melt and pour soap base to the body whip, (ensure that the soap base is not hot) and whip together until the mixture is stiff enough to pipe. Spoon mixture into a piping bag. Unmould cupcake bases from mould and pipe the bath butter mix onto the base. Add extra decorations or flowers to the soap cake. Cut your melt and pour soap base into small chunks and microwave in 15 second intervals until liquid. 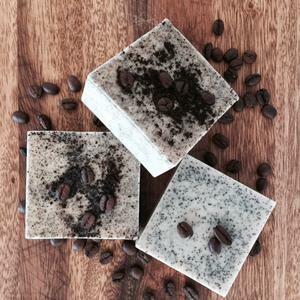 Mix in coffee grounds, almond oil, fragrant oil and 1-2 drops of your liquid body safe dye. Pour into soap mould and spray generously with the isopropyl alcohol spray until bubbles have dispersed. Allow a couple of hours for the soap to set. 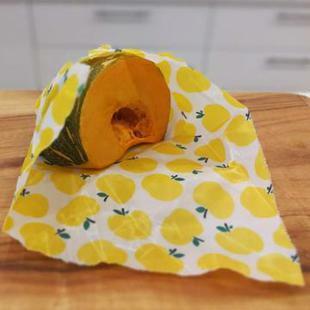 Once it has set, wrap your soap in cling wrap to hold in the moisture and fragrance. Your room sprays are so inexpensive to make and fragrance the room so well! 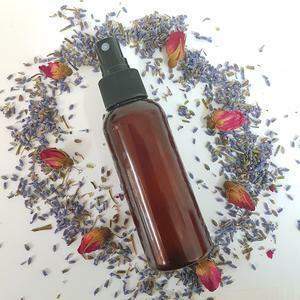 We recommend trying the relaxation or the lavender essential oils for your pillow mists. Spray onto your pillow just before bedtime and enjoy. Mix ingredients together until your reach the texture of a soft paste. Apply to face and leave on for up to five minutes before washing off. Rose water helps maintain the skin's PH balance and cools, hydrates and tones the skin. It also helps to reduce puffiness and contains vitamin C.
Mix in your dry ingredients and then add your choice of fragrance oil at a 5% ratio. 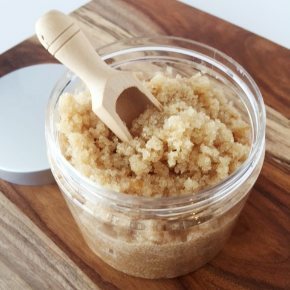 Spoon your laundry mixure into a plastic or glass container that is air tight to store. Combine fragrance oil / essential oil to you liquid soap. Stirring slowly until combined. Pour into prepared bottle. Combine all of the oils togather and then add the fragrance oil. Once stirred add in your glitter or mica powder and stir. If you would like to add flowers, add them to the jar before the oil mixture. Pour the oil mixture into the jar and ENJOY. Melt beeswax, almond oil and cocoa butter either in the microwave or on a stovetop. Gently pour into tubes and moulds. Once lip balm has set, remelt the remainder mixture and top up the tubes as the balm does sink a little as they set. The bars don't need to be topped up. Makes 10 tubes and 3 Rectangle Silicone Moulds. Choose your fabric offcuts or cut up some clean clothes that you want to up cycle. Cotton, linen, and rayon work best. Cut your fabric into an assortment of sizes. 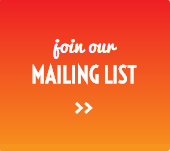 These can be any shape but we would recommend squares and rectangles. Boil a pot of water on the stove (use an old pot that you don’t mind getting wax on it), once boiling you can reduce to a simmer to keep the water hot. Fill a large glass jar with the beeswax, gum rosin and jojoba oil, and set the jar in the pot of water. Melt the mixture in the double boiler,stirring occasionally until it has completely melted. Line a baking tray with aluminium foil or baking paper. Lay out one of your pieces of fabric onto the tray with the patterned side facing up. Drizzle melted mixture onto the fabric (approx 2-3 tablespoons). Hang piece of fabric to dry. The wax dries really quickly, it should be cool in 5-10 minutes.